Marsha is currently working on her PhD in 'Teaching Sacred Geometry through the Practice of Hand Drawing'. She is in her third year at The Prince's School of Traditional Arts, in London, England. The school was formerly known as VITA (Visual Islamic and Traditional Arts) and was started by Keith Critchlow, Professor Emeritus. Marsha undertook the doctoral program to study directly under the mentorship of Keith Critchlow, who is internationally recognized as a leading Luminary in Sacred Geometry as: author, teacher, artist, and architectural designer. 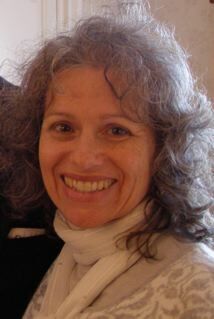 In addition to studying with Keith Critchlow, Marsha has studied Sacred Geometry and Numbers with Randal Carlson, Islamic Geometry with Paul Marchant, 3-dimensional Geometry with Jonathan Horning, Music & Geometry with Jane Weaver, and has attended related Geometry lectures by John Michell, John Martineau, Robert Gilbert, and Scott Olsen. Marsha has been teaching Sacred Geometry drawing since 2000. Her orientation is to teach the basic Principles of Sacred Geometry through the traditional practice of drawing Geometric patterns using a compass and a straight edge. Marsha's background is as an artist and a teacher. She received her Bachelor of Industrial Design from Pratt Institute (1972), and a Fifth Year Certificate in Art Education from the University of Vermont (1976). Marsha has taught all ages, in both public schools and the private sector, and has worked with a range of abilities from brain-injured individuals to gifted & talented students. Marsha has served as the American representative for Kairos, Keith Critchlow's educational non-profit organization, since 2003. She currently lives in the Asheville area of North Carolina (commuting to London for her studies).